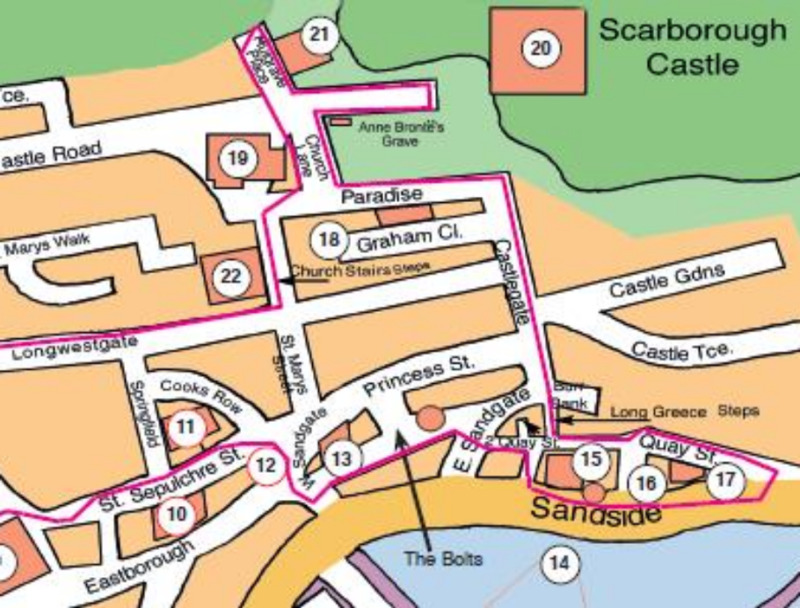 Quakers meetings for worship were held in Scarborough from 1651 onwards and weddings were known from 1661. Quakers would not take part in normal civil or religious wedding ceremonies. Instead, they performed their own marriages in front of witnesses and they took good care to publicise such proceedings, as an insurance against gossip. Early meetings were held in private homes and often resulted in heavy fines being imposed on the householder concerned. George Fox, a pioneer of the movement, was imprisoned in Scarborough Castle from 1665 to 1666. A perennial problem was the Quaker’s attitude to carrying arms. Several of the Tindall shipbuilding family (see page 20) were Quakers but after the barque ‘Morning Star’ was scuttled by pirates in 1828, Robert Tindall ordered that henceforward all Tindall ships should be armed; as a consequence, he left the Society of Friends (Quakers). In 1676, what was probably the second meeting house was opened in Low Conduit Street (now Princess Square). This was replaced by the St. Sepulchre Street building in 1801, which in turn was replaced by new premises in York Place in 1894. This was demolished in 1990 to make way for the Brunswick Pavilion Development. 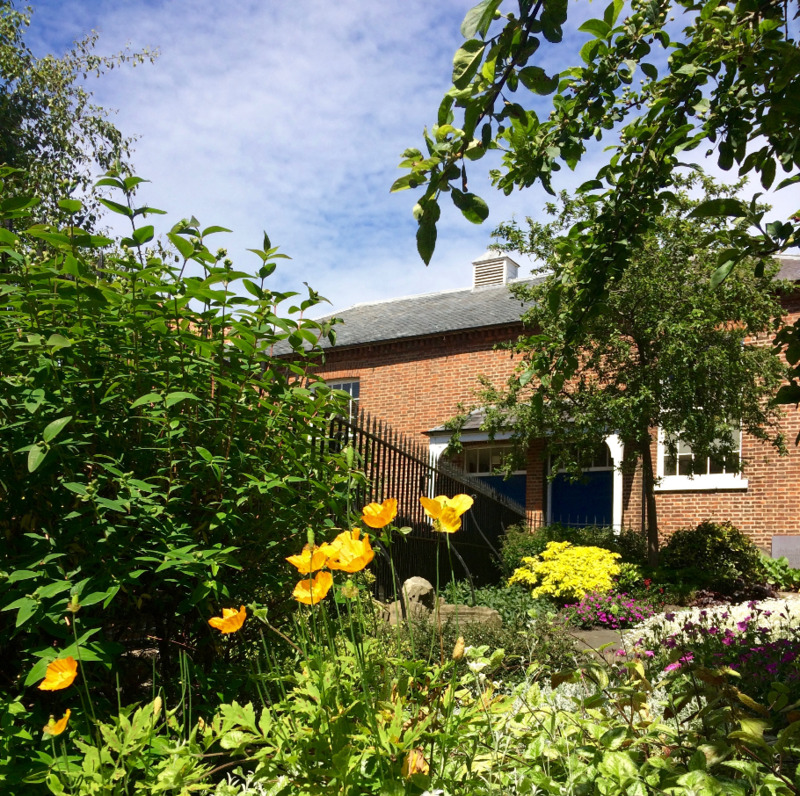 The new Quaker meeting house is located in Woodlands Drive near Scarborough General Hospital. The St. Sepulchre Street building shows the characteristic plain exterior of such places, reflecting the Quakers’ simple philosophy of life. Note the simple stones in the burial ground, with the minimum of information. After years of neglect the building was restored and converted to residential use. You are now on the edge of Princess Square. Proceed to its far right-hand corner, and turn into West Sandgate, where you will find the remnants of the historic Butter Cross, protected by a formidable circlet of iron railings.